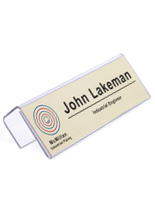 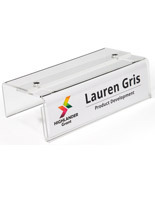 This cubicle name plate fits over the partition of your workstation to clearly identify its owner or intended purpose. 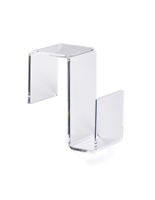 The curved acrylic accommodates walls and dividers that are ½” thick, making it an ideal fit for frosted privacy glass. 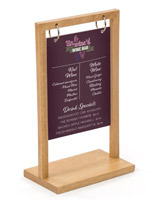 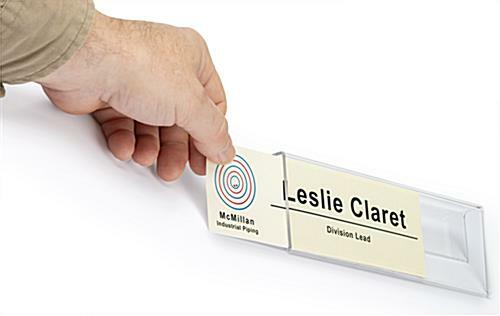 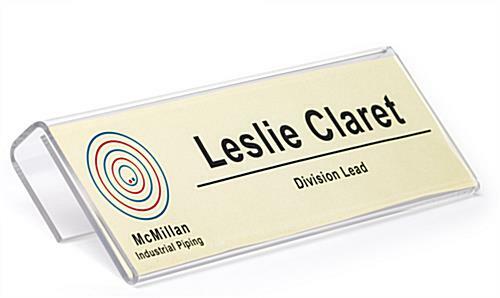 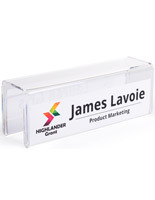 In an open office plan, this changeable cubicle name plate sign can be moved around to identify meeting spaces or mobile workstations. 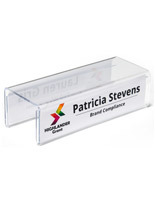 Simply print out an 8.5” x 2.5” tag on your substrate of choice, slide it into the perfectly-shaped acrylic holder, and swap it out when needed. 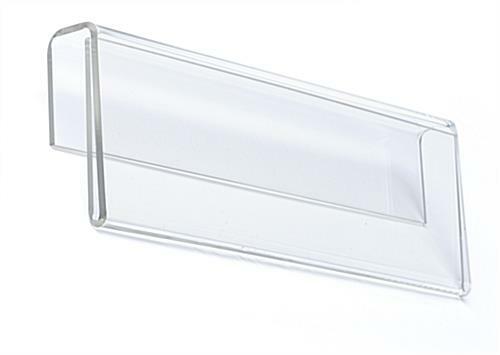 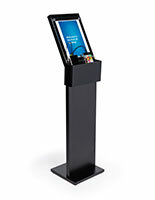 The over-the-partition design is built from durable plastic to ensure longevity as well as a quick setup with no hardware or tools required. 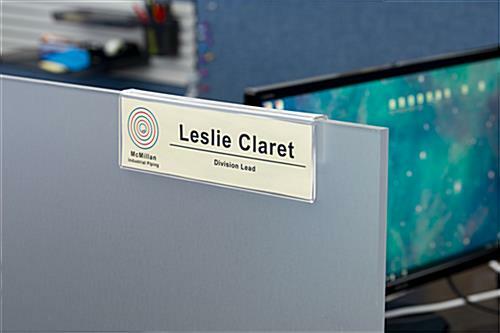 Improve the flow and user-friendliness of your office with this cubicle name plate, and don’t be afraid to add a little flair to your printed signage. 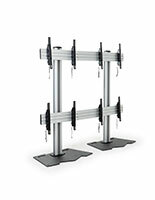 8.5" x 2.8" x 0.875"